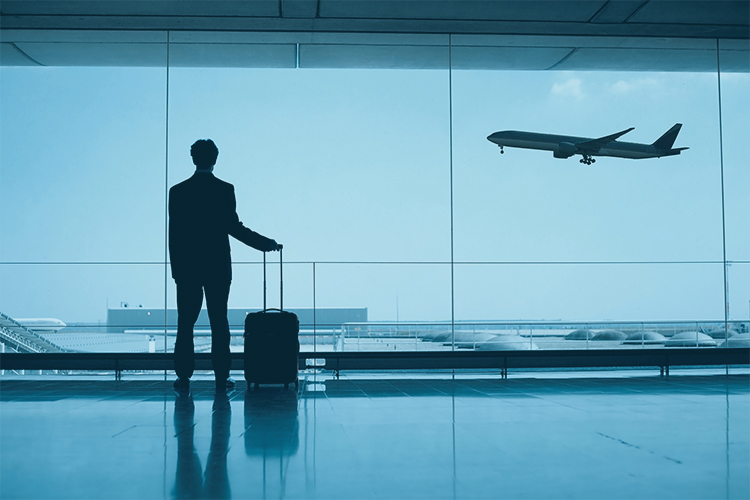 Travel and Expense Management has evolved a great deal in the last ten years, with many technological advancements being developed to simplify the overall process. I do believe the next ten years will be even more exciting, with the likes of Google and Apple really starting to drive innovation in the payments sphere, and our company Expense8 heavily focusing on how corporate travel processes can be modernized. Philosophical excitement to the side, various challenges will need to be addressed. Some will be left to the brainy folk who design, develop and deliver new technology. Others will rest on the shoulders of business decision makers, who will need to consider the risk of adoption versus being left in the Stone Age. Keeping in mind that contention is my middle name, I’d like to deep dive into a few topics that may ruffle more feathers than a fox in a chicken coop. A challenge, by my definition, is a situation that cannot be easily overcome. The following points meet that definition almost perfectly. Challenge 1: How will we drive greater adoption of technology? Let’s get some politics out of the way by discussing upper management decision-making. From what I see and hear currently, many business decision makers are adverse to front-line adoption of new technology. Many would rather ‘see how it goes in other organisations’, than become involved and be part of the global evolutionary process. I believe this ‘wait and see’ philosophy is holding the business world back from better technology. It’s restricting truly innovative companies taking seriously amazing products to market due to risk of poor adoption. Key decision makers recognise that technology is fundamental to the growth of the entire business world. If decision makers focus more on technology, the IT world will evolve faster and more (amazing) products will enter the market place. Key decision makers need to be better educated on technology. I don’t mean to say decision makers should educate themselves, rather that they should surround themselves with individuals that understand technology, are hungry for technological improvement, and want to be part of a best of breed operation. Having the right people to educate key decision makers means the right decisions will be made, it’s that simple! These changes are necessary for a more significant evolution of corporate technology in the next ten years, though they will not be easy to implement! Challenge 2: How will we drive greater Online Booking Travel adoption? It doesn’t take an expert to realise that employees want to feel safe when they’re booking travel, due to bad flight connections, lack of advice on destination visas, and travelling with horrible airlines and so on. For some reason, despite there being some great corporate technology on the market, it doesn’t seem to be enough to drive significant adoption of online booking for international travel. The next ten years will see the challenge of dissecting corporate travel booking expectations and behaviour, and determining additional process steps that will boost user confidence in online international travel booking. This process has already begun, with Expense8 already road-mapping some ideas that will reduce the need for offline booking of international travel. Challenge 3: How will we get in-depth expense information? Focusing on the Expense Management process for a moment, the entire process would be a lot easier (and more meaningful) if systems like Expense8 were able to obtain in-depth information from merchants. The ability for Expense Management Systems to receive in-depth transactional detail would not only allow for a single hotel bill of $800 to be automatically split between ‘Accommodation’, ‘Valet Parking’, ‘Food and Beverage’ general ledger codes, it would also help catch exceptions like the $18 in-house movie that was in breach of company policy. I do realise some products on the market can already perform line item splits on accommodation expenses, however I believe this should be possible without users having to upload detailed tax documentation. Several companies are currently going to market with a means of obtaining in-depth transactional information for Expense Management System consumption. However, the true ‘best case scenario’ for collecting expense information is the very same process/infrastructure that transports a credit card expense from the merchant to the Expense Management System. The likes of Visa and MasterCard already have a secure connection to merchants through their payment gateways and this infrastructure should be extended to accommodate a greater level of detail. In economic terms, it doesn’t seem right that businesses who desire more in-depth transactional information should have to engage with third parties to receive it, nor should they have to pay for it. A low cost means of transmitting in-depth expense detail will be a challenge faced throughout the banking world in the next ten years. There are a lot of challenges yet to face in the Travel and Expense technology sphere. If we all buy into technical innovation, big businesses make the right investments, and technology providers like Expense8 continue to care about process refinement and a better tomorrow – it will be a great ten years ahead! Click HERE to request an Expense8 product demo!